11.92mm x 19.51mm / 0.469in. x 0.768in. 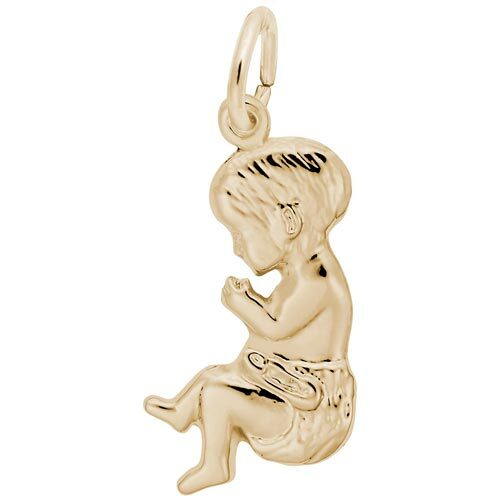 Baby Silhouette Charm. This side profile baby is draped in a diaper and it has a polished back for engraving.